Each ye ar we celebrate a number of special services that have become traditional in our community. These are all-ages services with children and adults marking the seasons of our lives together. At the end of summer, we celebrate our Water Communion. Each family brings water to share that represents something important about their summer. They are invited to come forward, share the story of their water as they pour it into a common vessel. This sharing of water and stories is an important ritual of connection and caring. 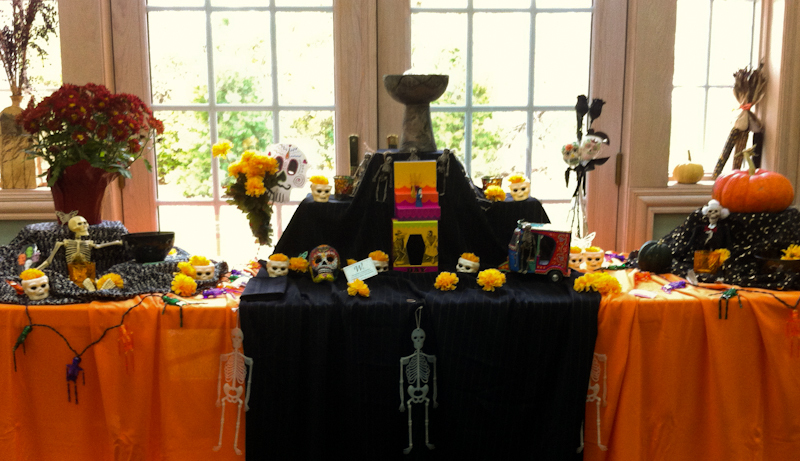 The last Sunday of October is our Day of the Dead (Dia de los Muertos) service. Together, we build an offrenda or altar to hono r our ancestors. The congregation brings pictures or mementos of loved ones who have died and there is a time for sharing memories. On Christmas Eve, we hold a traditional candlelight service. 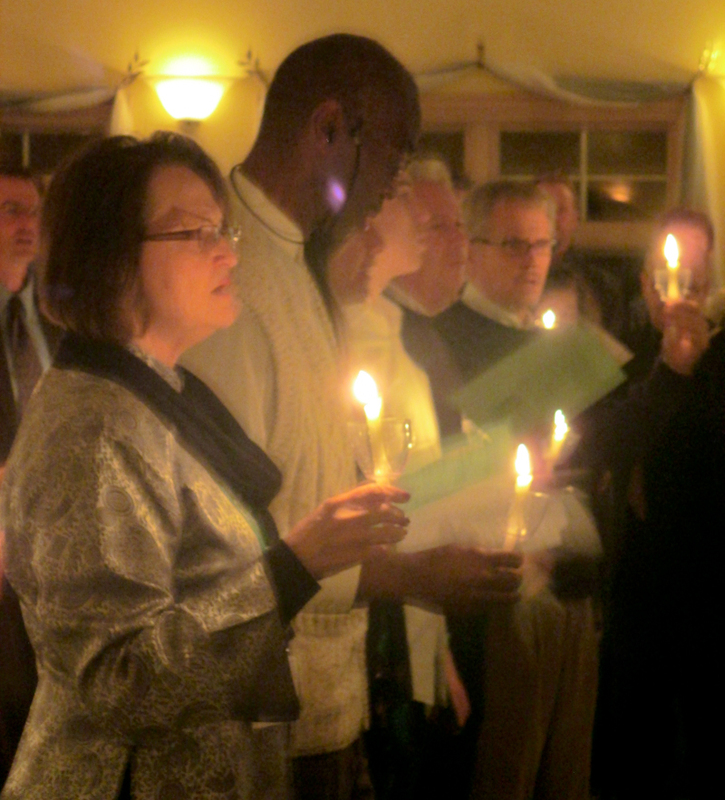 We sing carols, listen to special music, and tell the story of the birth of baby Jesus. We often bless and dedicate babies and children during this service. In the spring (often on Mother’s Day) we celebrate Flower Communion, a tradition that was created by Rev. Norbert Capek and brought to the United States by his wife, Maja, after he was killed in a Nazi concentration camp for his beliefs. Each person brings a flower that is gathered into a bouquet representing our community. After the flowers are blessed, they are distributed by the children and youth, so that everyone takes home a different flower than they brought–a symbol of the beauty of nature and the gifts of diversity and difference.